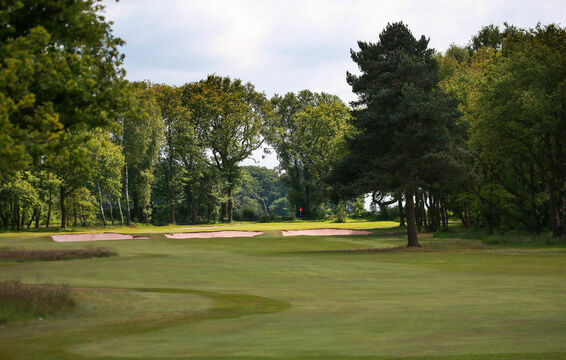 The toughest par 4 on the golf course, and perhaps one of the toughest holes you might play, not only is it a long 4, but it is also very tightly tree lined. This slight double dog leg must require a long and accurate tee shot hitting over the left corner of the trees to try and leave you down the left half of the fairway, this is important because anything right of that will get behind a big fir tree which will block your second shot to the green. Once you have negotiated the tee shot you still have a long shot to a small green. Miss the green left and you will have a very awkward up and down to a green sloping away from you.